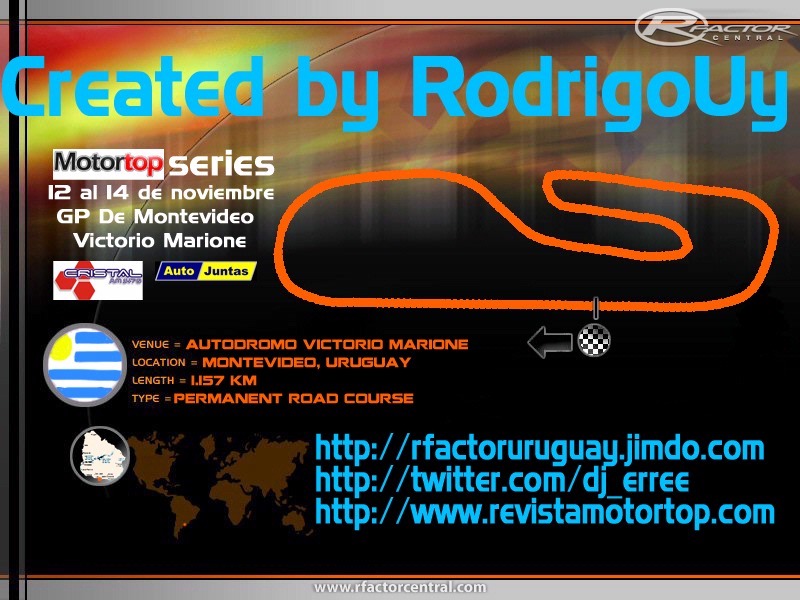 Located in Manga, near the demarcatory line into Montevideo & Canelones the Victorio Marione is the Montevideo´s (Uruguay´s Capitol) dirt track rebuilted in 2009 and in tarmac version. In the real life have their most important races with the Uruguayan Autocross championship, the Dirt Touring series, Formula VW and Super VW. This version have 28 garage and start spots for a very short track (1.15 km), some asphalt extensions, 3 very low speed corners and a spectacular S corner. My best time with the Formula Chevrolet cars was 42 seconds. That´s my first AIW alone so have fun. Any dudes here or in my twitter. 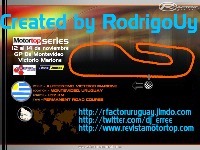 There are currently no setups for Autodromo Victorio Marione, Montevideo. Add a Setup.